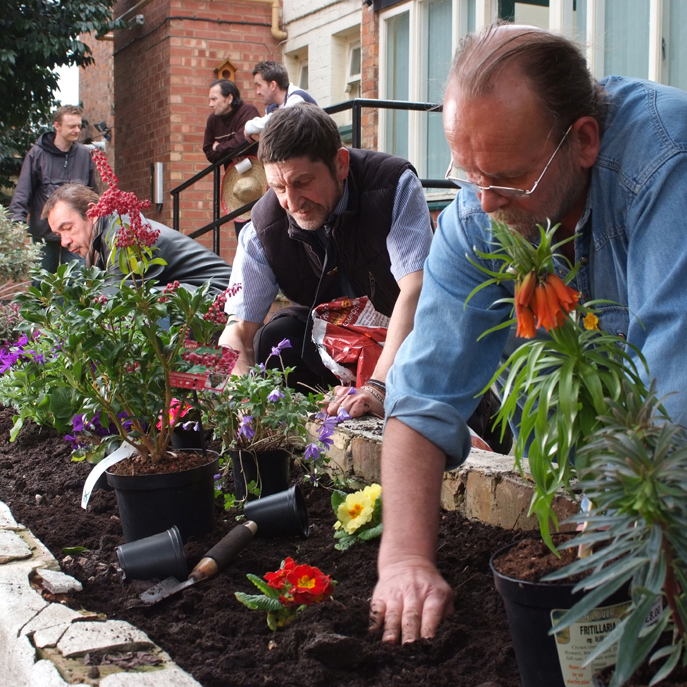 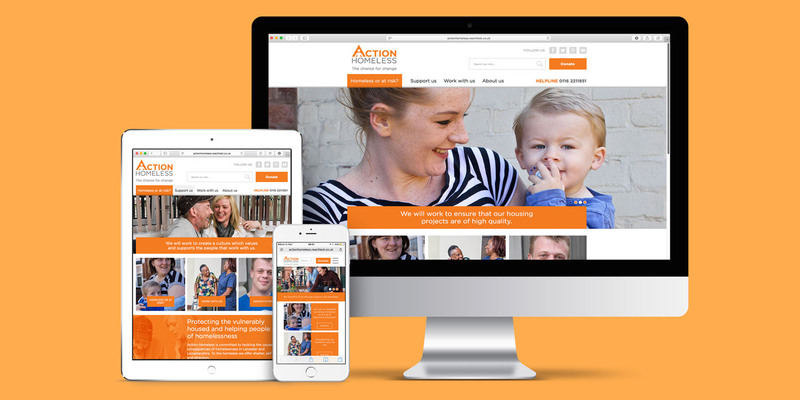 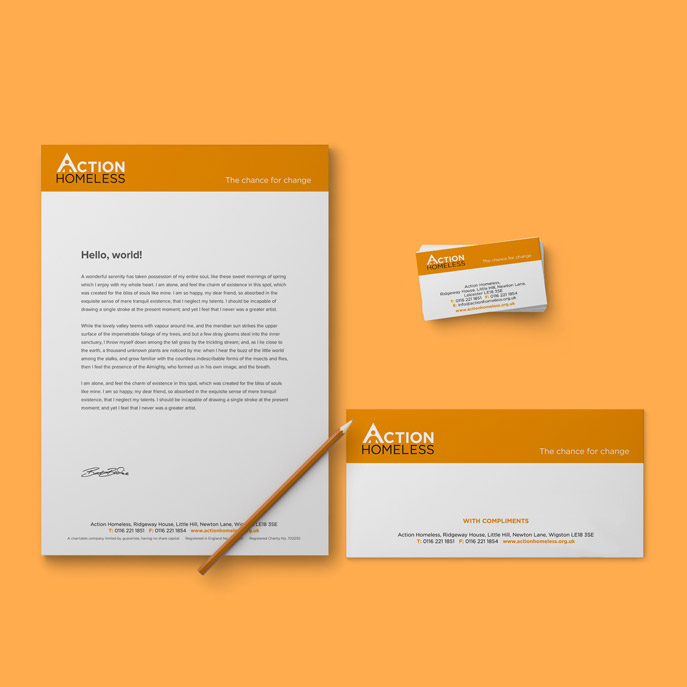 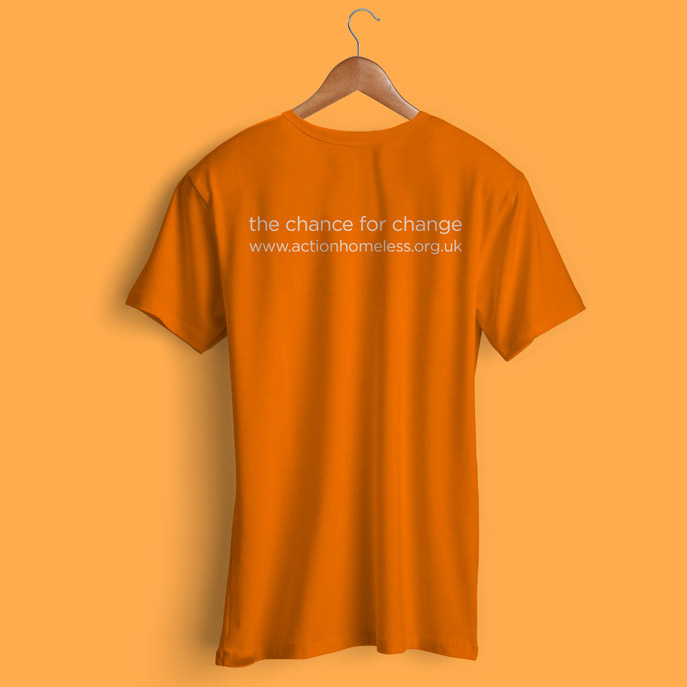 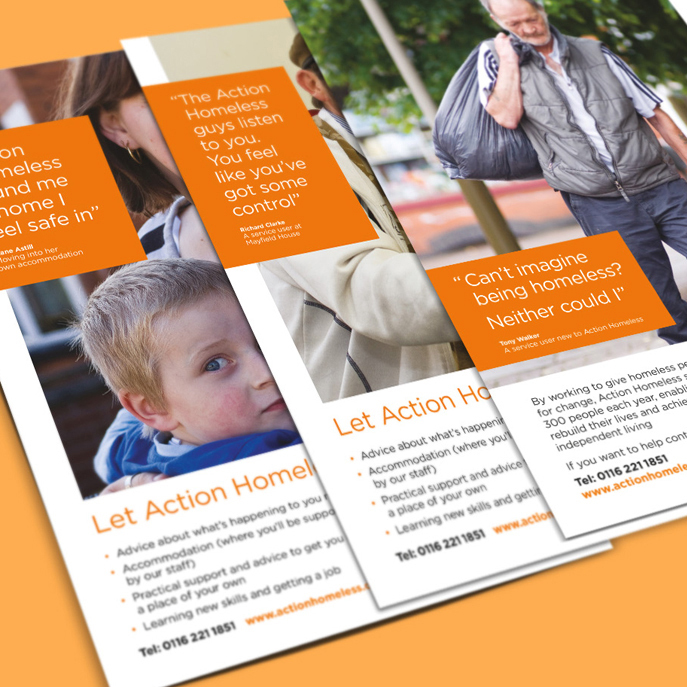 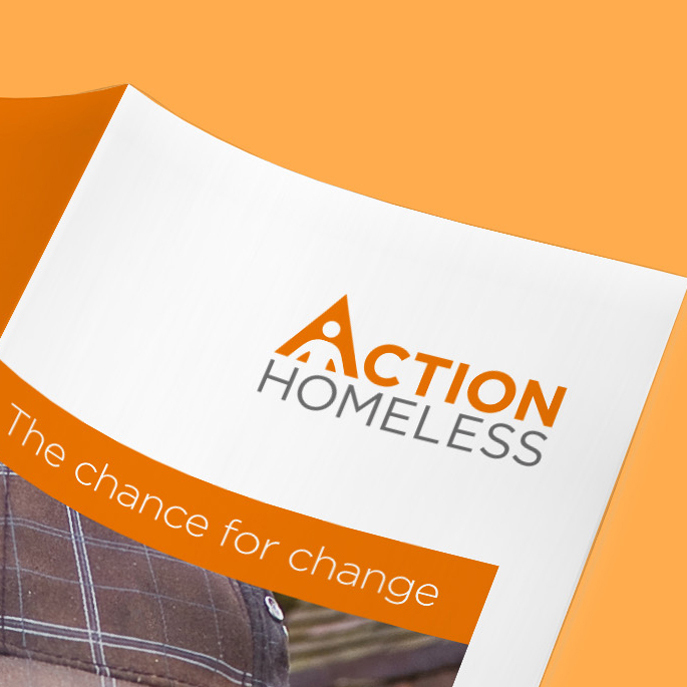 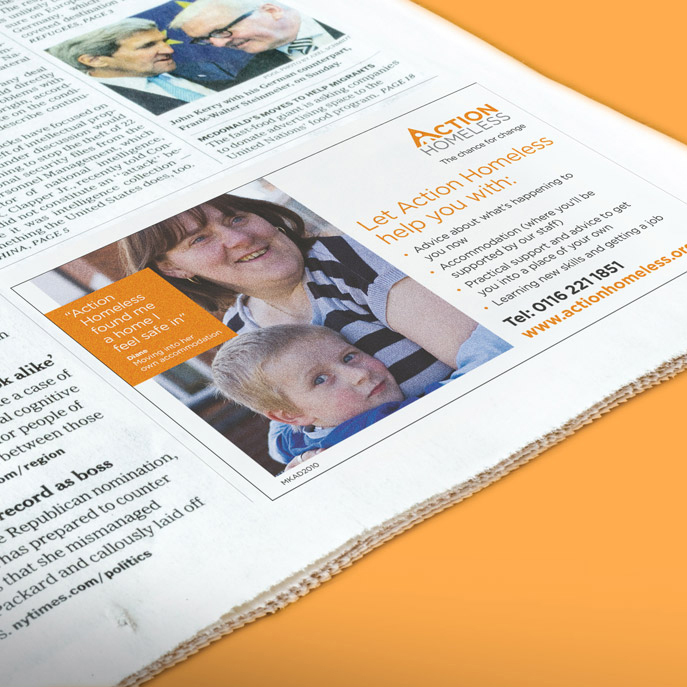 A Leicester homelessness charity, Action Homeless is committed to helping homeless people to turn their lives around, enabling them to recover their independence and become successful confident people. 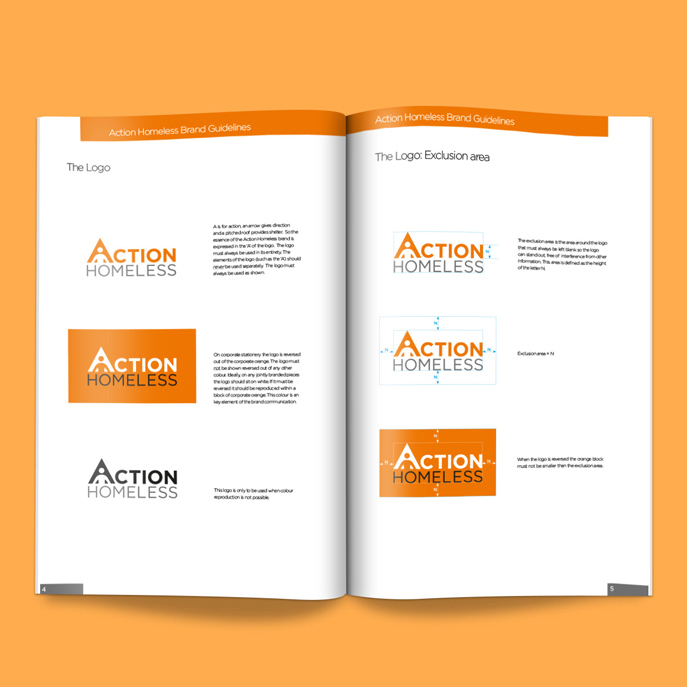 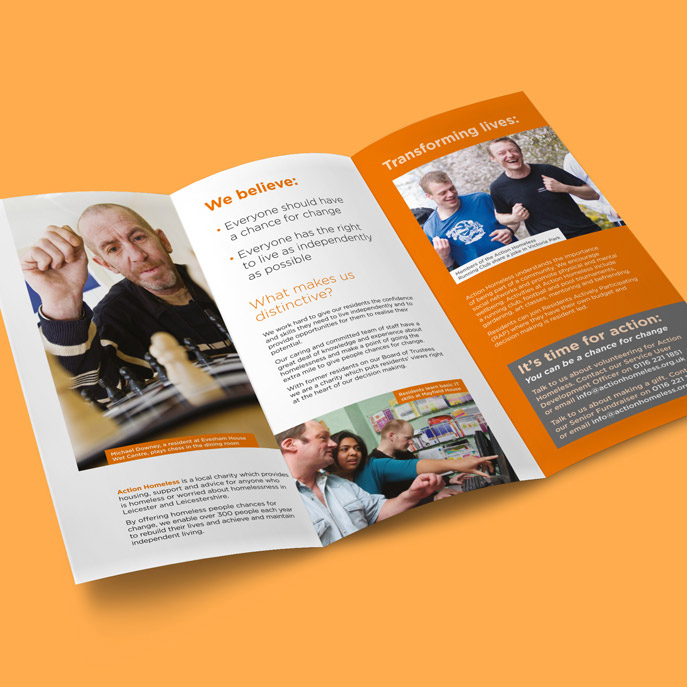 To further raise awareness of their work amongst people who need their services and also amongst potential funders, we were commissioned to undertake a rebrand, develop a wide range of marketing material and to help them launch the new brand at a well-publicised event at Curve Theatre in Leicester. 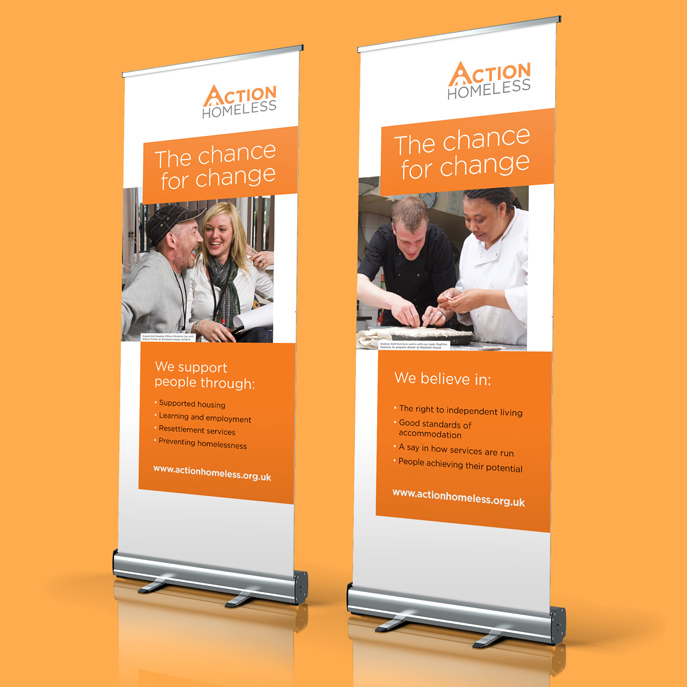 We are proud of our continuing association with this charity, which has gone from strength to strength since the rebrand.